Here's something to be merry about this holiday season: Private sector employers added 215,000 jobs in November. That's the strongest level of hiring in a year, according to payroll processing firm ADP (ADP). 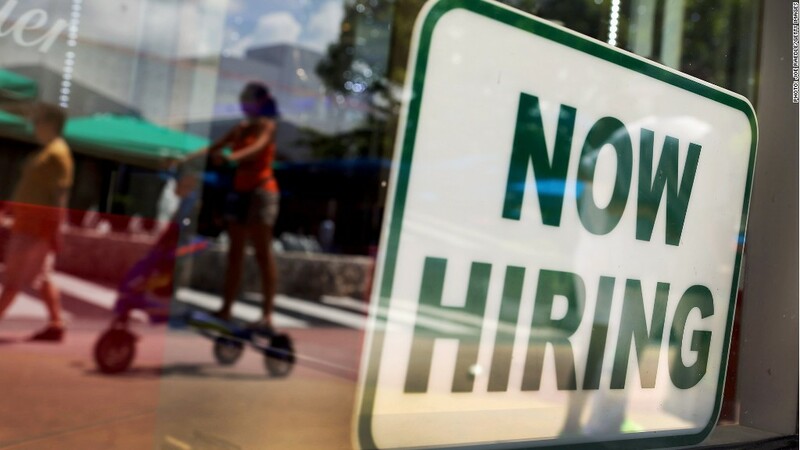 The ADP jobs report also showed that small businesses (those with fewer than 50 employees) accounted for 102,000 of the new jobs, while large businesses with more than 500 employees added 65,000 positions. Hiring picked up in construction, manufacturing and the financial sector. "Those are high-paying and middle income jobs," said Mark Zandi, chief economist of Moody's Analytics, which helps compile the ADP report. "That's very positive news." The jobs data collected by both ADP and the Labor Department has been improving in the past few months, despite other indicators which show economic growth still remains slow. "I would have expected job growth to be no more than 150,000 per month, but it's held up much better than that," Zandi said. It will probably take another two or three months of strong job growth to convince officials at the Federal Reserve that hiring above 200,000 jobs each month is here to stay, Zandi said. The Fed is looking for substantial improvement in the job market before it will be ready to begin slowing, or tapering, its monthly bond purchases that are aimed at stimulating the economy. The ADP report is closely watched by economists and investors, as it comes just two days before the Labor Department's monthly jobs report -- which also includes data on government jobs. Economists surveyed by CNNMoney predict the monthly jobs report will show employers added 183,000 jobs and the unemployment rate fell to 7.2% in November.